Webbing slings are fundamentally formed to carry heavy load and are commonly utilized in construction and marine industry and load securing applications. 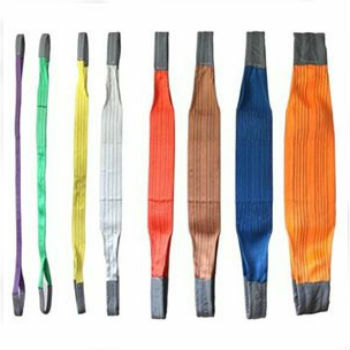 Given this viable function of the webbing slings, Keble’s Trading made sure that what we offer you are outstanding-grade webbing slings that have passed our thorough criteria in sourcing them. 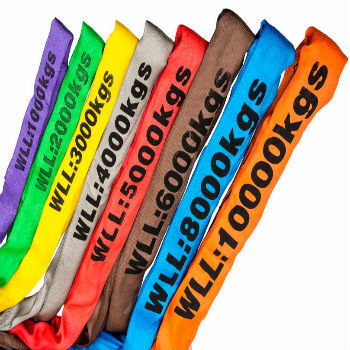 Keble’s Trading carries a vast array of round slings from round sling 1T to round sling 10T that are available in a range of weight from .15kg to 16.72 kg with lengths from 0.5m to 10.0m that are made of durable polyester. We also offer an extensive selection of flat slings from 1T to flat sling 10T that are ready to use in a scope of weight from 0.28kg to 24.6kg with lengths from 0.5m to 10.0m that are made of top-quality polyester to give you that confidence in your lifting, towing, and pulling applications. We source our webbing slings from globally reputable companies that adhere to the strict Australian and international standards of quality providing you that confidence in your lifting, towing, and lowering applications. Turn to Keble’s Trading for reliable-grade ROUND & FLAT WEBBING SLINGS. Talk to us! We speak your language! We understand your business. Call us at 1-800-067-687 or fill out the contact us form below. No inquiry is too large or too small. We would love to be of service to you today!